Do you remember your fourth grade class? Perhaps you were practicing multiplication tables and long division, learning about the planets and stars in our universe, or putting together a papier-mâché volcano. Fourth grade students at Wesley Prep, a private school in Dallas, are breaking stereotypes with the leadership of language arts and history teacher Lori Cousino. 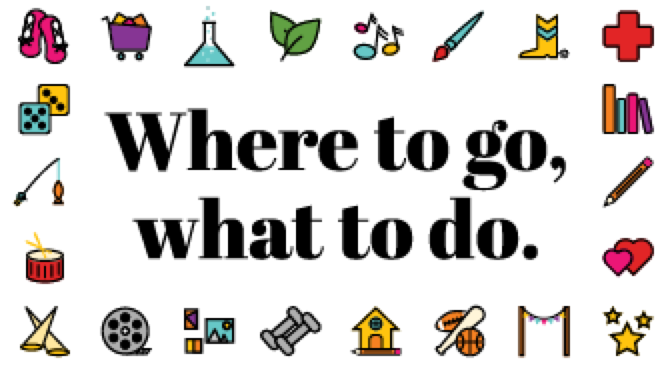 Cousino’s classes have worked on projects centered on giving back to the community and fostering relationships with community members who aren’t particularly in their immediate circle, such as teenagers out of juvenile detention facilities or farmers in Bonton. She says she hopes to inspire her students to show and have compassion toward one another. 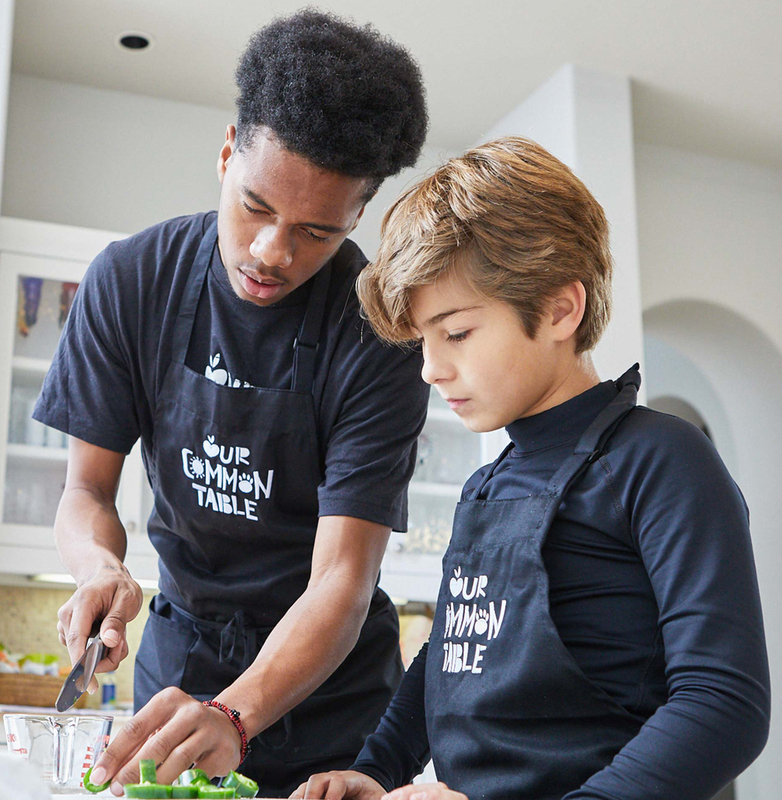 This year, her fourth grade students created a cookbook, “Our Common Table,” in partnership with Café Momentum and Bonton Farms––astounding organizations we’ve both written about here at DFWChild. Café Momentum, founded by Chad Houser, is a restaurant in downtown Dallas that employs teens out of juvenile detention centers for a year-long internship program, giving them a second chance at rebuilding their life, so to speak. And Bonton Farms, located in Bonton is an urban farm providing fresh fruit and veggies to an area considered a food desert––parts of town where residents don’t have easy access to nutritious, healthy food and where grocery stores are hours away. Purchase “Our Common Table” online, at Interabang Books, Bonton Farms Market and Café, and at the Bonton Farms booth at the Dallas Farmers Market. All proceeds from the book sales will benefit Café Momentum and Bonton Farms, with donations split half and half. Mark your calendars for April 28, when the students will be hosting a dinner at Café Momentum featuring “Our Common Table” recipes. Purchase tickets to the dinner online. And on May 19 Sur La Table (the one on Preston Road and Royal Lane) will host a cooking class inspired by the cookbook. You can also purchase handmade serving pieces during their monthlong online auction here. These group of fourth graders spent a whole day prepping the food for the cookbook. Every recipe includes ingredients from Bonton Farms, and the Café Momentum interns helped the kiddos make the recipes come to life for an exquisite meal. The creation of “Our Common Table” took months of planning. On April 2, Interabang Books hosted a book signing for Cousino and her students. There was a palpable sense of pride, from both the students and Cousino, during their presentation. One student who spoke at the event, Iris, gained a great deal of inspiration from the experience––and a very valuable lesson. She also recalled enjoying her time cooking up a storm with the interns. Every Tuesday, Cousino and her students watch TED Talks, which she says “come back to the idea that strong relationships are at the root of so many good things, with health, happiness and emotional well-being.” So, when they watched a TED Talk on relational poverty, or various factors that enable poverty, Cousino’s students wondered if it was possible to create relational wealth. They felt moved to help overlooked community members, those who because of environmental circumstances, are in disadvantageous situations. In 2016, Cousino and her students hosted a Christmas Party at Austin Street Shelter, an organization committed to helping the homeless community in Dallas. Cousino notes that kids don’t have the same reservations we as adults might have when placed in an unfamiliar situation around people who seem different from us. Cousino and the kids also wrote poetry with a group of women from the Austin Street Center, also known as the “sisterhood,” noting that the best part of the experience was the relationships they built with these women. Overall, Cousino says she hopes these experiences inspire her students, enabling them to realize that despite our differences or struggles, we’re all the same––simply, human.